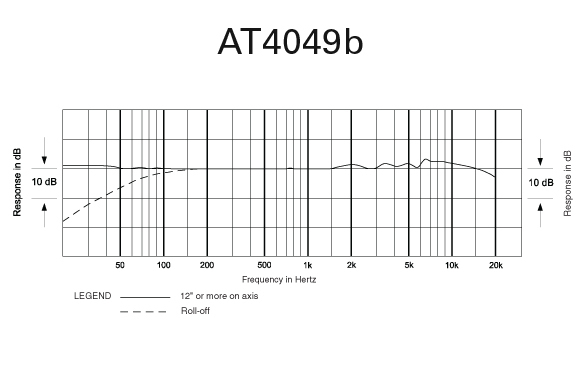 The AT4051b is a revision of the company’s 4051a. 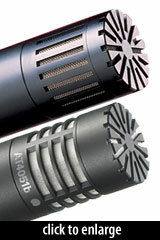 Both are transformerless “pencil” microphones that accept interchangeable capsules. 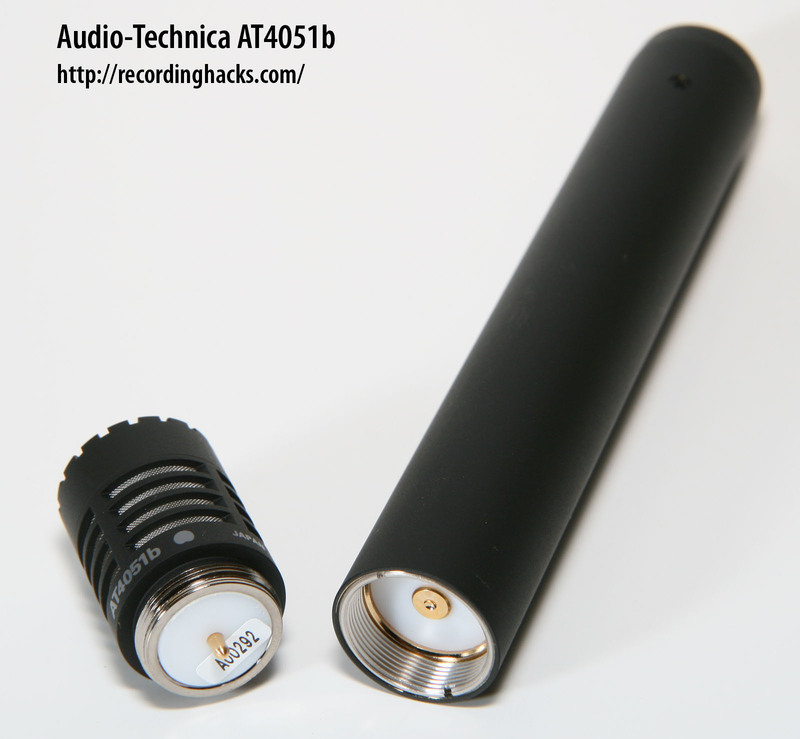 The 4051 is nominally a Cardioid microphone, but with appropriate capsules would support other patterns. 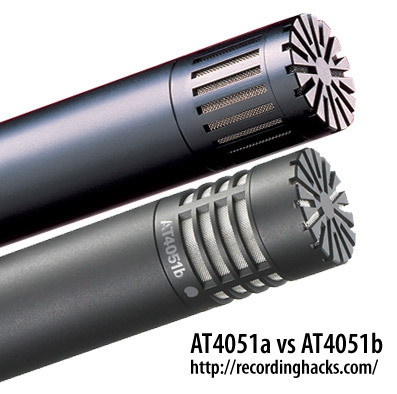 What is the difference between the AT4051b and AT4051a? The vents on the cardioid capsule changed; see comparison image at right. The AT4051b has a flatter HF response (due, in part, to the capsule venting change); gone is the +6dB presence peak at 7kHz (on the AT4051a). Self-noise has been cut from 19dBA to 16dBA on the AT4051b. The AT4051b includes a -10dB pad, raising the max SPL from 146dB to 155dB. The AT4051b is RoHS certified (free of hazardous substances). 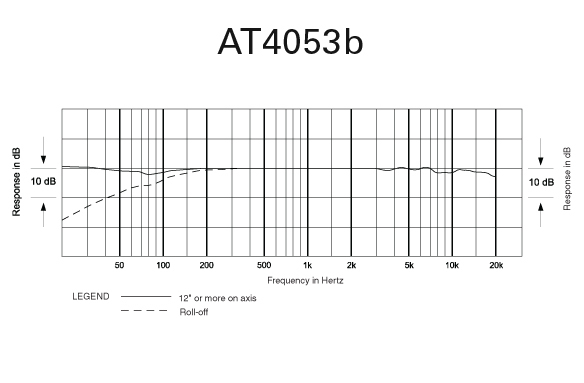 The AT4051b has better EMI/RFI shielding. 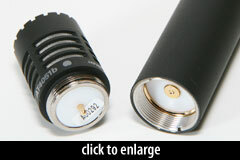 Impedance has dropped from 100Ω to 50Ω. The ‘b’ revision is 7g heavier. 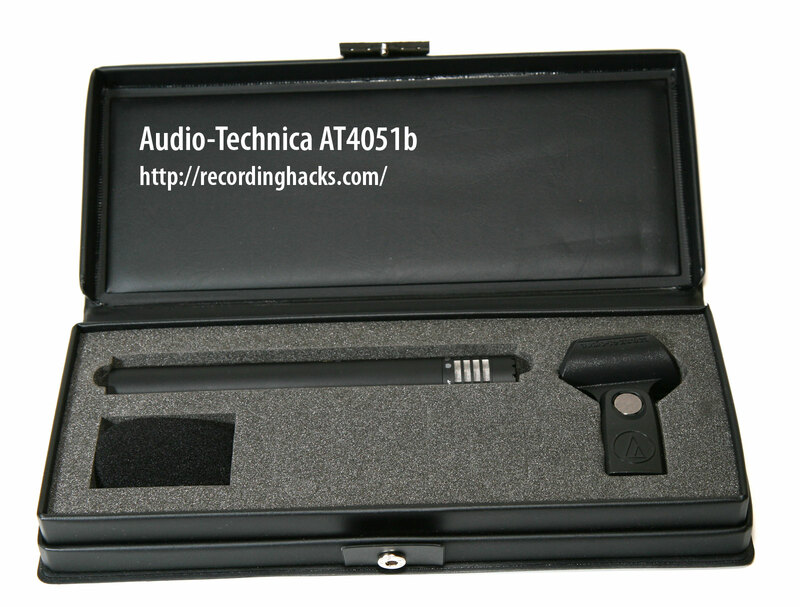 The ‘b’ series mics — the AT4051b, AT4053b, AT4049b — include two recessed switches on the mic body; one controls the pad, and the other controls the high-pass filter. 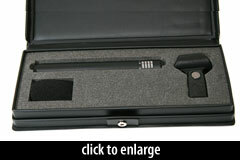 The mic ships with a clip (A-T p/n AT8405a), a foam windscreen, and a carrying case (p/n S1).